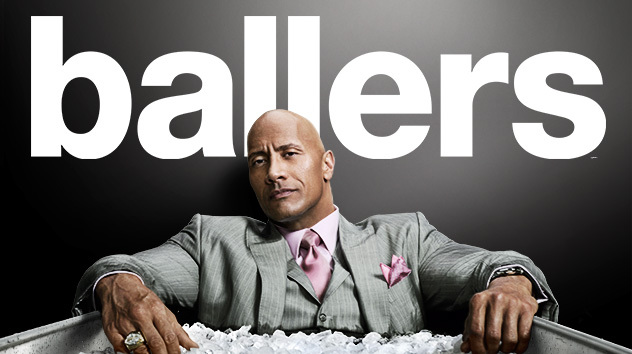 PHN Previews | Ballers 3.23 In The Teeth ~ Phresh Hott New! Well Since I’m on the honesty train lets keep it moving shall we, lol. I was two episodes behind on Ballers as well. In hind sight though if I’m keeping it 100% honest I’ve never watched an episode the same day it aired in fact I didn’t find out about ballers until its second season from my little brother, he told me he thought it might be a show that I would like and he was right ended up binge watching both seasons over that weekend lol (big THANK YOU to him by the way). I ended up watching both episodes last night so I wouldn’t be too far behind this season. It’s amazing how history can repeat itself in such a short time, lol. I see that Spencer and Joe are still working hard, and Mr. Anderson is well… still Mr. Anderson lol. It’s crazy to think that Ricky of all people (might) have a baby on the way (don’t know if I trust her since she lied and said she wasn’t pregnant, and he is an athlete so she might be trying for a come up who knows). Reggie is still trying to hustle making sure he can get a piece of the pie and can show and prove his worth to Vernon, but this time I really think he might have gone too far with this latest scheme/” sponsor”. I really think Vernon should have talked to Spencer and Joe more about sponsors before jumping on board with this idea, or at least thought it through a little better. Now as far as Charles goes I think we are seeing that he is finding out its more of a dog eat dog world out there (no pun intended) and it’s every man for himself, so he is really going to have to step up if he doesn’t want to lose his job…or dignity. On tonight’s episode Spencer is going to run into more resistance with the Vegas deal Joe is going to take a little detour with Reggie. Jason is going to put Kisan on blast because he isn’t transparent, and Charles is going to be irritated that Larry didn’t give him credit for the lineman he landed.